Discover how you can secure your Azure deployment with Palo Alto Networks Security Operating Platform. With deep visualization and automation with cloud-delivered security services the Palo Alto Networks VM-Series protects against known and zero-day threats. 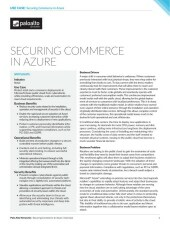 Tight integrations with Azure services, such as Application Gateway and Domain Services, deliver an adaptive and scalable security platform upon which to build applications today and into the future. 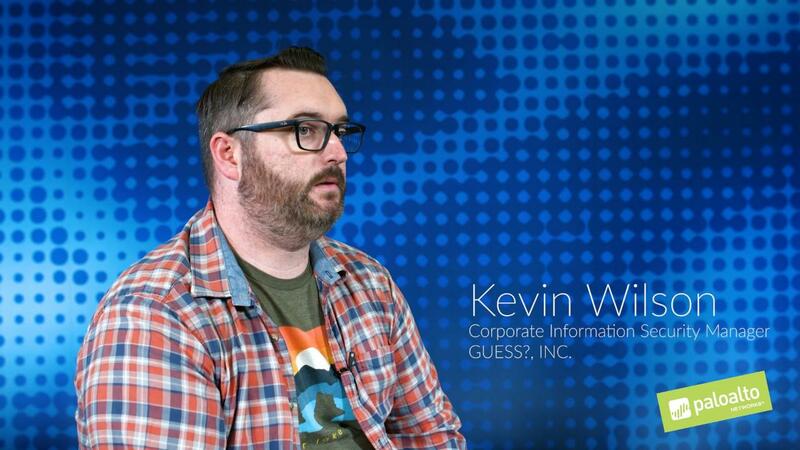 Learn how a retailer achieved higher-performance, more secure store communications and realized a return on investment in months. In a competitive and rapidly changing industry that’s continually targeted by cyberthreats, creating a secure digital foundation is critical to success. 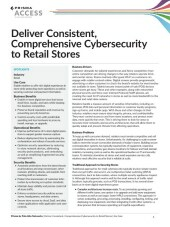 Read this platform brief for a concise summary of how Palo Alto Networks helps retailers secure customer data while thwarting cyberattacks, streamlining security operations, and granting appropriate network access to employees, customers, suppliers and partners. 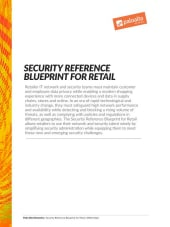 This white paper outlines key security principles for modern retail networks and a framework that reduces operational demands on IT and security teams while improving security and control. Palo Alto Networks® (NYSE: PANW), the leader in enterprise security, and the Retail Cyber Intelligence Sharing Center (R-CISC) today announced that Palo Alto Networks has joined the R-CISC community through the R-CISC Associate Member Program for cybersecurity industry leaders as its first platinum member. Campuses – including branch offices, retail stores, temporary office space, or events venues – require secure WAN/LAN connectivity and shared services such as authentication, print, Wi-Fi, telephony, etc., to be implemented. The main challenges encountered during the technology deployment of campuses include: Wide adoption of cloud-based apps demands better application performance for branch offices. The continued use of multi-protocol label switching (MPLS)/backhaul traffic results in scalability issues and cost overruns. The deployment of WAN/security/shared services to branch offices is slow and expensive to maintain. 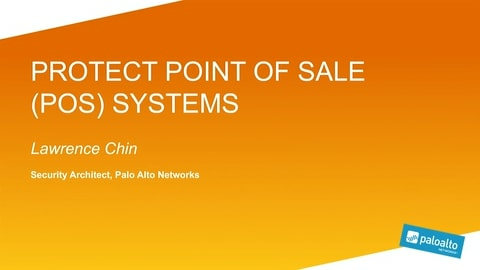 Read about an actual customer’s deployment of Palo Alto Networks to protect cardholder data and PII by securing the POS environment spanning their global retail network. 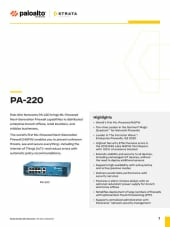 An often-forgotten area in the enterprise network which poses a significant risk to your organization if compromised are Building Management/Automation Systems (BMS/BAS). SANTA CLARA, Calif. – May 10, 2016 – Palo Alto Networks® (NYSE: PANW), the next-generation security company, today announced that Warren Rogers Associates, an industry leader in retail fuel monitoring and diagnostics, has successfully deployed the Palo Alto Networks Next-Generation Security Platform in AWS to prevent successful cyber breaches within its cloud-based data center and ensure PCI compliance for thousands of remote data collection devices at fueling stations across the United States. The PCI DSS is an information security standard developed to enhance cardholder data security for organizations that store, process or transmit credit card data. 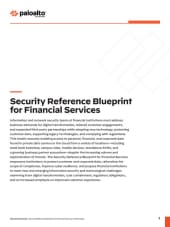 Learn how financial institutions may prevent successful cyberattacks by incorporating various elements of the Palo Alto Networks security operating platform into their overall cybersecurity program. Palo Alto Networks®, the leader in enterprise security, today announced that it has received a U.S. Gold “Rising Star” award presented by the Global Technology Distribution Council (GTDC). 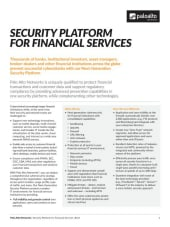 Read how thousands of banks, institutional investors, asset managers, broker-dealers and financial institutions across the globe prevent successful cyberattacks. 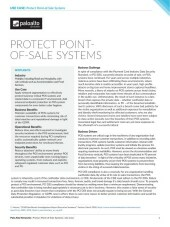 As an industry leader in retail fuel monitoring and diagnostics, Warren Rogers Associates (Warren Rogers) manages thousands of data collection devices installed at service stations across the U.S. Because these devices reside alongside its customers’ business systems that handle credit and debit card data, Warren Rogers had to guarantee it would prevent cardholder data from being collected to ensure PCI DSS compliance. Palo Alto Networks® (NYSE: PANW), the leader in enterprise security, today announced the opening of its Philippine office based at the Joy-Nostalg Center in Ortigas Center, Pasig City.